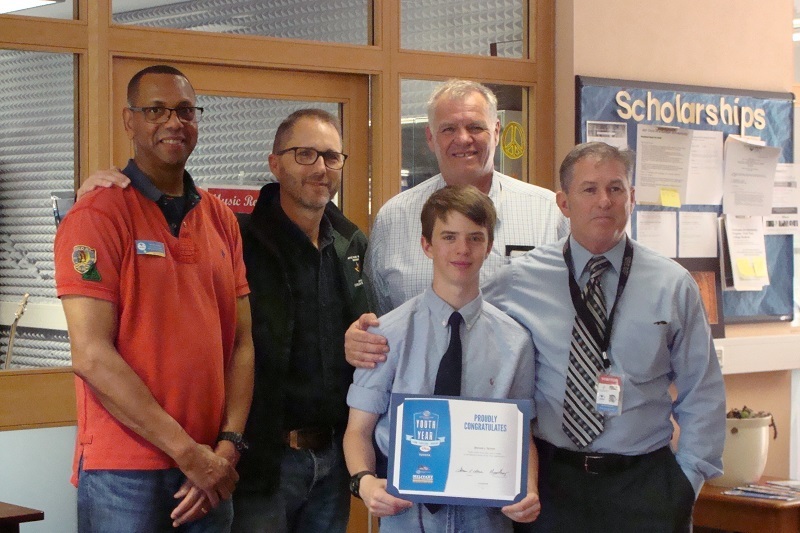 HOHENFELS, Germany — Every year since 1947, the Boys & Girls Club of America celebrates the extraordinary achievements of teen club members in a recognition program: Youth of the Year. Youth of the Year candidates embody the values of leadership, service, academic success and healthy lifestyles and emerge through year-round recognition programs in their local BGCA-affiliated Youth Centers on U.S. military installations. During the selection process, candidates must complete essays addressing their vision for America’s Youth and their experience within the Youth Center. To fulfill the task, community members write letters of recommendations addressing the teen’s academic excellence, leadership, character and service, and their example of living a healthy lifestyle. This year’s Military Youth of the Year 2018 local winner is Bennett J. Schmid, an eighth-grader at Hohenfels Middle/High School, and proud son of Bradley and Kristin Schmid. Bennett’s community service and personal accomplishments include three years as an American Red Cross youth volunteer, the Presidential Award for Academic Excellence, and memberships with the National Junior Honor Society and Civil Air Patrol. 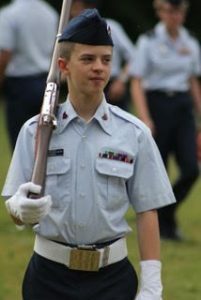 His defining characteristics are “friendly and endurance.” Bennett’s goal after graduating high school is to serve his country by attending the U.S. Air Force Academy and becoming a fighter pilot. At what age did you become a volunteer? I have always volunteered with my family at school, at church and at community events. However, I became an officially registered volunteer for the Red Cross youth program and VMIS program at 11 years old. What are the benefits of volunteering for you and your family? My family is a role model for me when it comes to volunteering. For my whole life, my parents have always volunteered wherever I was attending school, for my sports teams, and for just about every community organization. A big benefit is I get to spend time with my family while helping others and it is pretty fun most of the time. Volunteering has helped me in many ways. I get to learn new skills, like how to run a cash register and fix a bicycle. I also increased interpersonal skills. While volunteering, I represent the organization where I am working so I learned customer service and problem-solving skills. I really like volunteering because I get to meet new people and learn new things. Two of my most memorable volunteering experiences were taking gift baskets to Soldiers who were working on Christmas Day three years ago and working as a waiter for the Gold Star Spouses on Thanksgiving Day in 2017. I never would have met them if I had not done that. I got to spend those holidays with my family, but those families did not. So it makes me realize that I am pretty lucky. Also, volunteering has allowed me to travel to Switzerland, Italy, Ansbach and Ramstein. That was a lot of fun. How can you integrate the experience in your daily & future life? There are a lot of ways I can use these skills. Volunteering has taught me how to communicate more effectively. When trying to get a project done or solve a problem, it is helpful to be able to express yourself clearly or have a written plan to show others. Sometimes it works better than others, but I am still learning. Would you encourage other kids to volunteer? Yes, I would tell other kids that volunteering gives you a chance to learn great life skills, to meet new people and to be exposed to different environments. It is not always easy, but it is usually pretty fun. Volunteering is as simple as asking to help.